“Over the years, Apple has dreamt up a revolutionary styled docking station, some smart docks, docks based on straight forward inductive charging methods and some with loopy inductive charging methods and yet we still have Apple’s plain old boring dock,” Jack Purcher reports (and opines) for Patently Apple. 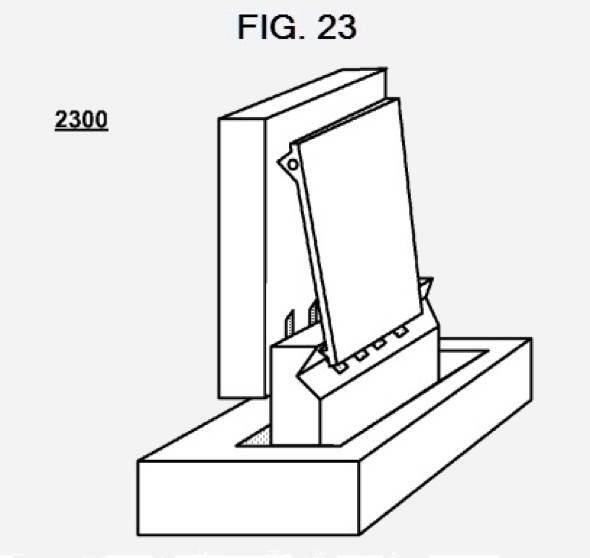 Much more, including many additional illustrations from Apple’s patent application, in the full article here. It looks like today was school day for the design department. Ok class, today we are going to design a new innovative clip on docking system. Let’s see you can come up with the weirdest idea before we return to the new iPhone 9.